CARFAX One-Owner. Clean CARFAX. Certified. Gun Metallic 2017 Nissan Armada Platinum AWD 7-Speed Automatic 5.6L V8 DOHC 32V Endurance NISSAN CERTIFIED, INCLUDES WARRANTY, REMAINDER OF FACTORY WARRANTY, ONE OWNER, CLEAN CAR FAX NO ACCIDENTS, SERVICE RECORDS AVAILABLE, MOONROOF SUNROOF, LEATHER, ALL WHEEL DRIVE, NAVIGATION GPS NAV, Blue tooth/ Hands Free Calling!, Rear Back Up Camera, USB/AUX, Auto-Dimming Rear-View Mirror, Captain Seat Package, Carpeted Floor Mats w/ Captain Seat Package, Driver Package, Front Fog Lamps, Power 3rd Row 60/40 Split Fold-Flat Bench Seat, Power Liftgate, Second Row Captain’s Chairs, Second Row Center Console w/ Padded Armrest, Trailer Towing Harness. 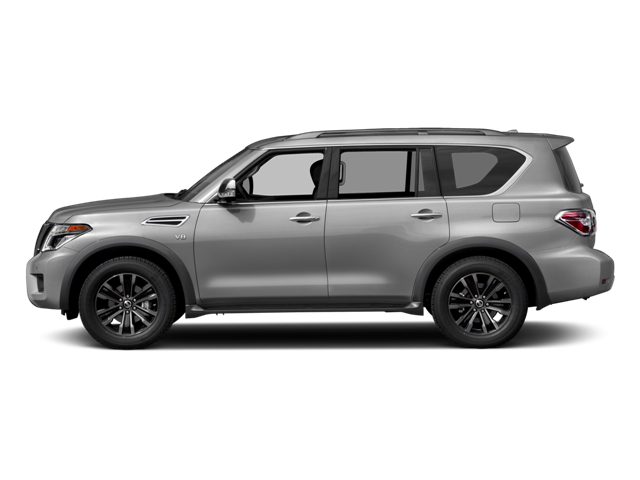 Hello, I would like more information about the 2017 Nissan Armada, stock# A5630. Hello, I would like to see more pictures of the 2017 Nissan Armada, stock# A5630.